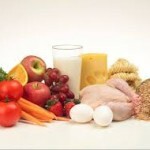 Appetite suppression plays a very crucial role in weight loss. When trying to lose weight, it can be difficult to maintain a diet plan if you constantly hungry all day. Hunger pangs are the main culprit behind weight gain and why people fail when trying to shed extra pounds. Here are 7 tips to help conquer food cravings and reduce the urge to snack in between meals so you can win the battle of weight loss. 1. 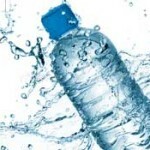 Drink More Water- Most of the times people confused the feeling of being hungry when they actually really thirsty. Drinking plenty of water has so many advantages but it can also be your secret weapon for suppressing appetite. A glass of water right before your meals is an effective method to cut your food intake while keeping the body natural hydrated. Water makes you feel fuller longer so therefore you eat less, which leads to weight loss. 2. Aerobic Exercise– Aerobic implies “with oxygen,” so when you keep fit aerobically your body utilizes oxygen to help process energy throughout the work out. This is one of the best ways to mainly improve the cardiovascular system. 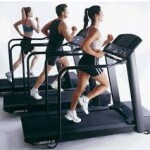 Aerobic exercise not only burns calories but also suppresses appetite by triggering your body hormone levels to change. Some aerobic exercises involved swimming, walking, hiking, cycling and using elliptical machine. 3. 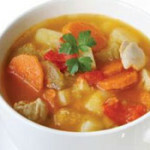 Eat More Soup– Vegetable soups and broths are natural appetite suppressant, which help curb appetite and prevent overeating during meal times. Eating a bowl of low calorie soup right before a meal can make you feel full so you end up eating less and burn fat faster. Whether you eating soup as a starter (appetizer) or snack you controlling your hunger with less calories, which helps with eating smaller portions. 4. Chew Sugar-free Gum– Chewing gum helps curb appetite. 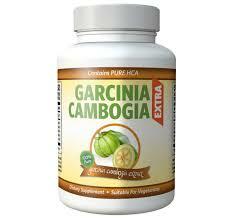 It works as an appetite suppressant by helping you feel full and satisfied in between meals. Instead of reaching for a high calorie snack substitute a low calorie gum to take your mind off the urge of snacking throughout the day. The chewing action simulates eating, which sends a signal to your brain that you are already eating. Chewing gum also helps reduce stress and satisfy boredom. Additionally, it also stimulates saliva production and encourages good oral hygiene. 5. 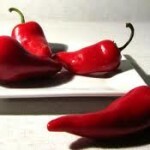 Add Hot Peppers To Your Meals – Spicy foods are known to control appetite naturally and help increase metabolism. It contains capsaicin that proven to decrease the hunger hormone ghrelin so you will eat less. Adding hot peppers to your meals will give you an appetite suppressing effect, which also helps burn more calories. 6. Jump-Start Your Day With Protein– Lean protein, such as yogurt or egg whites, keeps you fuller longer than other nutrients because it takes your body longer to digest and absorb. It is highly recommended that you eat at least one ounce of protein during breakfast time. Research has shown that protein keeps you feeling fuller longer if consume early in the morning than other meal times of the day. Eating protein will reduce any cravings and help stop snacking. 7. Eat the Good Fats– Oleic acid, an unsaturated fat present in olive oil, nuts, and avocados helps defeat hunger. During the digestion process, it is converted into a compound that reduces appetite and promotes weight loss. 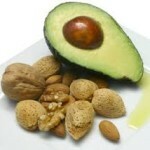 A serving of 1 ounce of nuts, 2 tablespoon of natural peanut butter and few avocados can help keep food craving at bay. Appetite suppressant foods are a great way to curb your appetite naturally and stop food cravings. The only thing with this method it take more effort and longer to achieve weight loss results. Using a natural appetite suppressant supplement will help make your weight loss journey easier. 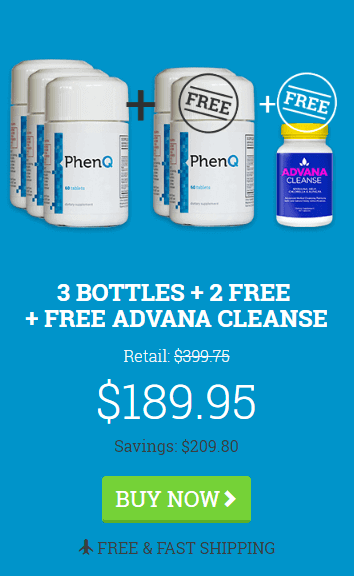 Adiphene is the most powerful natural appetite suppressant on the market that can help cut your intake by up to 50%. It combines superior appetite suppression properties so you can lose weight quickly. Unlike other diet pills, Adiphene combats all main problems that associated with dieting. Adiphene weight loss formula consists of 12 fat fighting ingredients, which includes Glucomannan and Guarana extract. Not only does Adiphene reduces the temptation to snack between meals but also melt extra pounds away while binding dietary fat already digested so it can be passed out naturally through the body. You can lose weight in a safe manner with just two capsules a 20 minutes before a meal. This entry was posted in Weight Loss Articles by HoneyW. Bookmark the permalink.